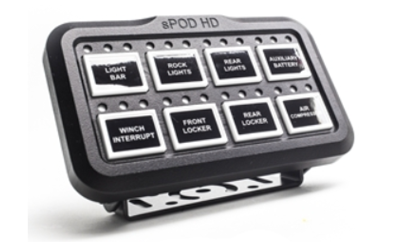 sPOD is a family-owned company dedicated to creating precision power distribution systems for off-road vehicles, agricultural equipment, utility vehicles, race rigs, 12/24-volt equipment… in short, for anything with a battery. We provide power and control on demand for all your accessory and power distribution needs. Our systems are trail rated and race proven! 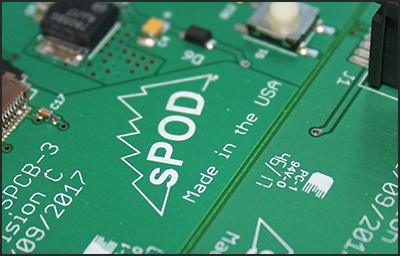 At sPOD, we use American made and manufactured components, all designed, engineered and constructed in Southern California using quality materials. Our design philosophy is simple: make the best possible product to withstand the most extreme conditions, with the most reliable and user-friendly systems. We pride ourselves in providing live and local customer support. Our customers can have confidence in knowing they are using equipment made to the highest industry standards. Invented by enthusiasts for enthusiasts! Our Community is chomping at the bit to show the world how amazing sPOD really is. Tag us and show the world you have the control.